Throughout childhood we are aware of vertical development. Many a kitchen wall holds the recorded history of young upward growth. As adults we may be more concerned about horizontal expansion. Thankfully the bathroom scale doesn’t generate a similar, wall-based record. Physical growth is automatic; personal and professional growth, in contrast, are optional. We have to choose to learn and to apply our learning to our practice. Part of maintaining a learning mindset is making those choices again and again. Ever notice when driving on a flat, mostly straight highway that it’s easy to zone out and drive for miles unaware that you’re moving? It’s as if you are on an endless plateau. Challenge is minimal, change is almost nonexistent, and trajectory is uni-level. Other than the driver’s open eyes, it is difficult to know if he’s even conscious of his minimal actions. When we resist or avoid challenge, we plateau, and like a zoned-out driver, we make only the movements required to stay between the lines. We’re active, but we lose effectiveness. Pretty soon, when the road curves, as it eventually will, we may struggle to keep our vehicle between the lines. The way off this sleepy highway? Challenge. When we allow ourselves—our ideas, our practices—to be challenged, we engage thought processes that spark growth and improvement. Challenges are opportunities, not obstructions. When perceived this way, challenges engage our emotions, focus our attention, and activate our strategic thinking abilities. Strategic thinking creates the possibility of strategic action, which can lead to changes in thinking and behavior. As a runner, I know the power of challenge. I have yet to start a race with an absolute certainty of how I will finish. Yet, the power of a challenge—the wonder of the “what if?”—propels me to embrace the mission. Sometimes I feel like I finished a race in a blaze of glory. Other times I feel the sting of not-quite. Even in failure, when the challenge remains unmet, I’ve grown through the strategy and action the challenge sparked. Without the challenge, without a goal that is beyond what I’ve accomplished before, I zone out; I run a casual race. No challenge, no improvement in results, and no growth. Don’t hide from challenge; seek it! Feedback comes in many forms. Failure, when viewed correctly, is a form of feedback. So are observations and insights shared by a knowing colleague. Research demonstrates repeatedly that increased feedback in classrooms produces deeper learning and greater achievement. The same is true in life’s other arenas. To grow, pursue and remain open to feedback. Early in my professional career I worked next to an amazing teacher. She was effective in every detail related to teaching and learning. Classroom management? She created and maintained an optimal learning environment. Engaging teaching? She knew how to mix methods, tools, and humor to gain and keep student attention and how to provoke deep learning. My respect for her enabled me, even in my new-teacher-insecure state, to seek and accept her feedback. I became a teacher through her informal mentoring. Seeking and remaining open to feedback does not mean that all feedback is equal and should be heeded. Listening and understanding does not equal adopting another’s perspective. We certainly need to be cautious of whose feedback we regard and the wisdom of any reviews we receive. However, pursuing growth without feedback means we’re on our own, striving to improve ourselves with only ourselves for direction. Is such growth possible? Absolutely. Is it wise? efficient? humble? 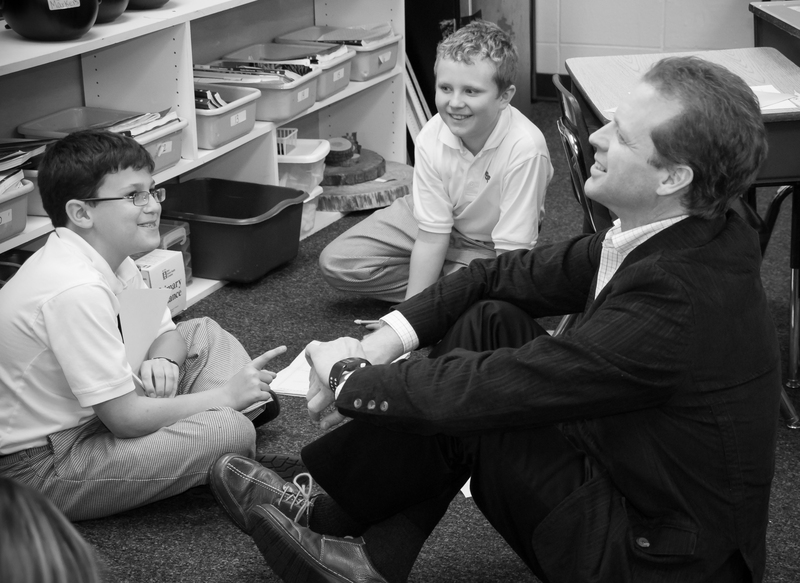 The phrase measurable results ignites strong opinions and loud discussions among educators. Let’s remove standardized test scores from the current discussion and think instead about quantifiable elements that reveal important details about our practices. For example, many teachers wait minimal amounts of time after asking questions. In fact, the average wait time is a single second—one tick of the clock passes between a teacher posing a question and calling on a student to reply. Simply increasing that to 3-7 seconds produces better responses, more student engagement, AND facilitates better questions.1 Wait time is measurable. It is something an observer could quantify. Knowing what our average wait times are could help us adopt better practices that would make us more effective. Research also suggests that increasing the amount of instructive feedback we provide will increase and deepen learning. How many students receive feedback from you in a class period? This could be observed and could form a basis for improvement (or congratulations) in this area. However, not everything worthwhile can be counted. For example, classroom atmosphere contributes to (or detracts from) learning. Classrooms with a “nurturing atmosphere,” in which our best teaching practices have optimal effect, are characterized by trust, motivation, and accountability. While we can practice behaviors that contribute to such an atmosphere, these traits can only be sensed. That does not diminish their importance or the possibility of getting feedback on them. For example, when you ask visitors to your classroom, office, or workplace to describe the atmosphere, what terms do they use? Those descriptors indicate the characteristics they sensed. If they describe something other than an optimal environment, we can work on changing ourselves so that our influence on the environment is in more positive directions. In other words, we can grow. Pencil marks on a wall tell a story of growth. Apart from physical height, it’s a story we must continue to write if we are to remain effective. Challenge, feedback, and reflection produce the best personal stories. Ferlazzo, L. & Hull-Sypnieski, K., “Developing a Self-Motivated Student Culture” (presentation at Learning and the Brain: Using Brain Science to Boost Social and Emotional Skills, February 2014).